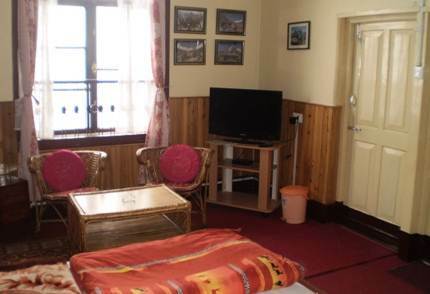 If you are looking for a home like atmosphere in a relatively quiet place in Darjeeling while being centrally located, and all that in a reasonable rate which is close to a budget price, then Classic Guesthouse can be the answer. This is a B&B (bed & breakfast) type accommodation. 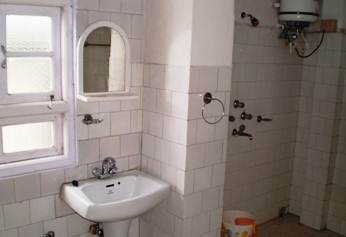 The guest house is located on the narrow CR Das road that leads down from the Chowrasta Mall. You will need to walk a couple of minutes downhill from the Mall to reach this cozy guest house. This old colonial house is also known as 'Dant Koti' which is boldly written on a marble plate engraved on a pillar in front of the building. The house was taken over by the current owner Rajen Singh several years back and was converted into a guesthouse. Mr. Singh also owns a book shop in the locality. As you walk in, there is a small cozy reception area. The walls at the reception are all wood paneled. There is a small seating area here with cushioned chairs. There are wall cabinets that are full of books, mostly novels. You can borrow the books during your stay, but can not exchange the books with other guests. The small reception counter is at the corner. The brass plates behind the counter display in bold the check out time of 12 noon and 10% extra service charge applicable on the tariff. Behind the reception there is a small dining space with couple of tables and a kitchen behind that. 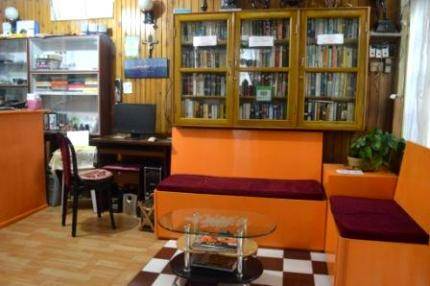 Classic Guesthouse has four rooms (A to D) all located upstairs. All rooms have small balconies facing the east and offer great views of the mountains and valleys including a part of Kanchenjunga range. Try to experience the sunrise from the balcony. You will love the changing colors of the snow capped peaks as the sun rises. The rooms are over all quite clean and spacious with queen or twin beds. The TV in the room shows most of the satellite channels including BBC World, CNN and others. Rooms also have a seating area having caned sofa & plastic chairs with a central table, a large wooden cupboard etc. The rooms are all carpeted. Overall quite comfortable. Bathrooms are also quite large. There is a shower mixer and a geyser in every bathroom. Subject to availability of power, you can get hot water on demand anytime and switch on the geyser to have a hot shower. Darjeeling has had power problems and water scarcity since decades. The guesthouse therefore has implemented a centralized control to optimize the use of power and water in its premises. The guesthouse has a small lawn outside and below the CR Das road. There are lovely flowering plants on one side of the lawn. This is where you can bring your chairs and relax as you enjoy the sun and great views of the mountains. The Classic Guesthouse has earned its name for its warm and friendly service. Mr. Rajen Singh is a perfect gentleman himself and is very cooperative. I was surprised to see that he even caters to requests such as buying the Toy Train Tickets in advance for his guests so that they don't miss out on the rides. The guest house provide breakfast which includes corn flakes/porridge, toast, butter, jam/ marmalade, eggs to order and flavored Darjeeling tea in a pot. They serve tea or coffee several times in a day on request. In the afternoon, they also provide nice fruit cakes which they bring from the local bakery. You will need to order for breakfast in advance and on the previous day to let them know what you would like to have, the time to serve the breakfast (anytime after 8am) and whether you would like to have it served in your room or at the dining area. 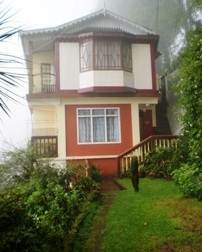 Classic Guesthouse is a Bed & Breakfast accommodation in Darjeeling. For lunch and dinner you will need to go out to a nearby restaurant. There are plenty of them in the Mall area that are within minutes walking distance. Glenary's is one of the best restaurants in Darjeeling which is located on Nehru Road and only 4-5 minutes away. Further down Nehru road you will get great budget restaurants like Kunga and others. However if you order in advance, the staff at the guesthouse can also bring food for you from outside. The guesthouse also provides high speed wi-fi (wireless) internet access in the rooms. However, if you plan to use it late at night, ask them to keep the routers on. They close the gate at 10pm at night. So if you plan to go out early in the morning to view sunrise from Tiger Hill, tell them in advance. You might still have to wake the person up at the reception to open the gate. During winter the guest house provides hot water bags or bottles to keep you warm through the night. They also provide room heaters or blowers that work when the main power is available. They do have a power backup that supports some lights and other essential electrical. Update 2014: The rooms have all been recently refurbished and look new. Although the property is quite old and was showing some signs of aging sometime back, it has now got its classy look & feel back. The pictures above are of the new rooms and common areas. The rooms have cane and wood furnishing, and have wooden panels on walls. And with the new look, comes new service. Breakfast is now served on the garden under garden umbrellas (weather permitting). Few minutes walk from the Chowrasta Mall means that you will need to carry your luggage up to the guest house. Taxis will drop you at Gorkha Bhawan on Mall road. Vehicles are not permitted in the main Mall area which is a pedestrian zone. From the Mall, the guesthouse is further couple of minutes downhill walk. However porters are available. If you let the guesthouse staff know in advance, they will come and help you with the luggage. Being a little away from the Mall has its own advantage. The area is quiet and not much noise in the area. The property is mostly availed by foreigners. The owner Rajen Singh is a nice man and very cooperative. Ask or any special needs that you might have and he will try to accommodate. C.R. Das Road, Below Chowrasta Mall, Darjeeling 734101, India. 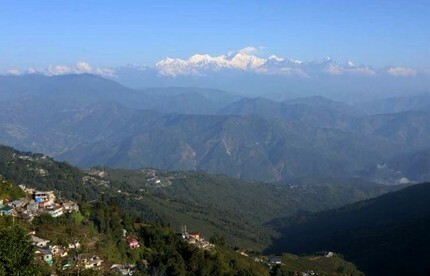 1) Check out Darjeeling Top Budget Hotels for the best cheap hotels in Darjeeling. Shared taxis (jeeps) from NJP usually come up to lower town area (chowk bazaar motor stand), and you need to take a local taxi from there. You may however try to negotiate with the shared jeep driver to drop you at Gorkha Rang Manch (a.k.a Bhanu Bhavan) on Mall road at an additional cost. You need to walk from there up to the Mall (3-4 minutes) and then go down CR Das road near CCD to reach Classic. 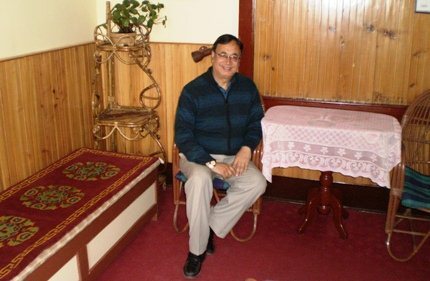 Raj, Many thanks for suggesting Classic Guest House in DRJ. It is mid range and just at MALL but without any noise. Rooms are spacious. Valley view from rooms is great.